Rarely available, SINGLE STORY in the exclusive gated neighborhood of Balearas, La Costa Greens! This wonderful property is the largest one story plan in Balearas, featuring 4 BDs + office/morning room and 4.5 BAs. Beautiful curb appeal and large courtyard with fireplace! Step inside to hardwood flooring, plantation shutters, custom crown molding, custom paint, & more! Large upgraded chef's kitchen is great for entertaining! 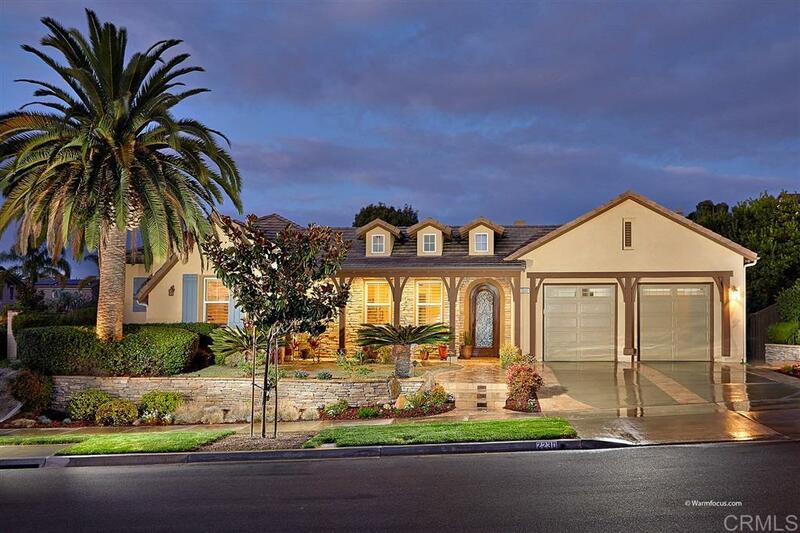 See supp., Welcome to 2230 Ivory Pl, single-story elegance in gated Balearas, La Costa Greens! Tons of upgrades throughout, including custom wrought iron door, hardwood flooring, plantation shutters, upgraded baseboards, crown molding, & custom paint. Chef's kitchen features service area w/ wine refrigerator, upgraded cabinetry, upgraded granite countertops w/ full backsplash, instant hot water, stainless steel appliances, & upgraded cooktop! Additional morning room can be used as an office, workout space, library, or whatever your heart desires! The spacious master suite features outdoor access, spa-like bathroom with marble counters & marble flooring w/ fossil stone features, and dream closet with custom built-ins! Fireplaces & outdoor access in both living & family rooms! Other upgrades include extra insulation, central vac, tankless water heater, & garage w/ epoxy flooring and custom built ins! The lush landscaped & tranquil backyard is low maintenance & the perfect place to relax! Residents of La Costa Greens have the exclusive use of "The Presidio" and its Resort-like amenities, including a community pool, tennis courts, workout & recreation room. Convenient to shopping, entertainment, and easy drive to North County's best beaches! TOP RATED SCHOOL DISTRICT! LIVE THE RESORT LIKE LIFESTYLE OF LA COSTA GREENS!